Ever since Satoshi Nakamoto brought Bitcoin into the world in 2009, cryptocurrencies have been growing in popularity. However, despite the fact that more and more people use cryptocurrencies every year, there are some problems that have been preventing Bitcoin and other cryptocurrencies from reaching complete mainstream adoption. Government regulations and scaling problems are two issues that have been a challenge for many cryptocurrencies. However, having reliable Bitcoin ATMs where cash and Bitcoin can easily be exchanged is also a problem. This problem is in the process of being solved, and there are now Bitcoin ATMs in over 60 countries – including 44 Bitcoin ATMs here in Australia. Bitcoin ATMs allow people to either deposit cash which can then be turned into Bitcoin or to convert Bitcoin into cash and then withdraw this cash. So essentially, Bitcoin ATMs make it feasible and convenient for people to turn their Bitcoin in to cash or vice versa. 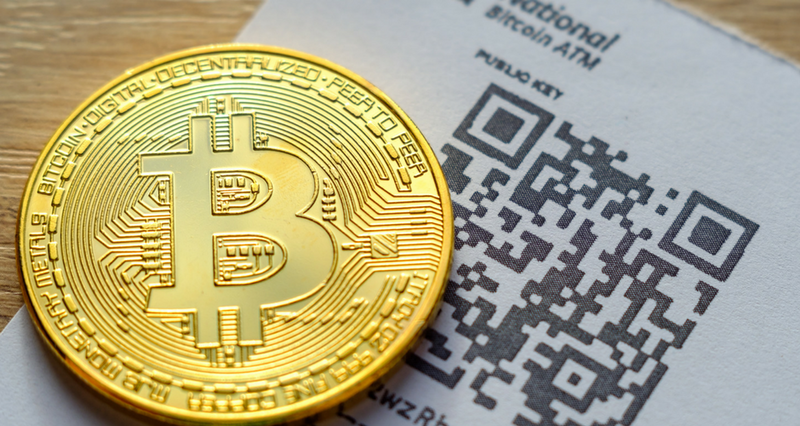 This can be extremely convenient at shopping malls, in hotels, or in other locations where people may need cash and may want to withdraw funds from their Bitcoin wallets rather than from their bank accounts. Some models of ATM will print out a paper wallet with a QR code on them, which you can then scan to send your Bitcoin to. You don’t even need a digital wallet! Other models of ATM will require you to have already downloaded a digital wallet to your phone. 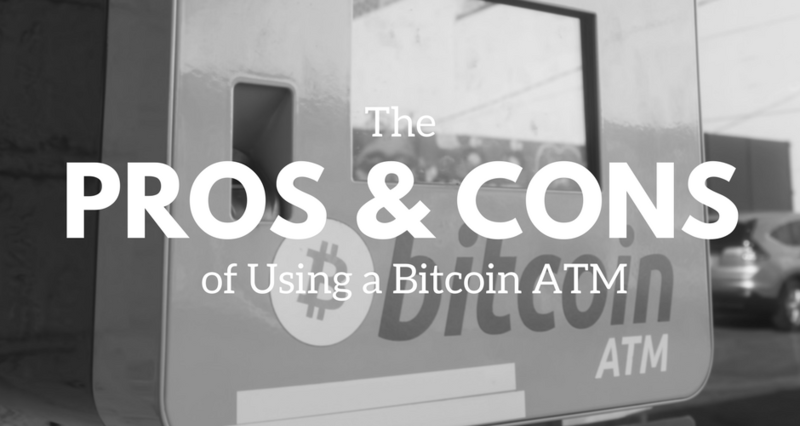 What are the Pros & Cons of Using Bitcoin ATMs? The pros of using Bitcoin ATMs are that they make it much, much easier for people to turn Bitcoin into cash. With Bitcoin ATMs, people can simply walk up to the ATM scan a QR code of their Bitcoin address, and deposit fiat money, or turn Bitcoin into fiat and make a withdrawal. It is extremely simple and convenient. So, Bitcoin ATMs can reduce a lot of the friction that otherwise exists for people who want to exchange Bitcoin and fiat. Bitcoin ATMs provide convenience just like normal ATMs do. So, this is a major advantage of Bitcoin ATMs. Bitcoin ATMs also dramatically increase transaction speed. Without Bitcoin ATMs, people have to transfer money from their Bitcoin wallets back to their bank accounts or vice versa. These transactions can take a day or even longer to go through. However, with a Bitcoin ATM, it is possible to convert Bitcoin into fiat currency in a matter of seconds. 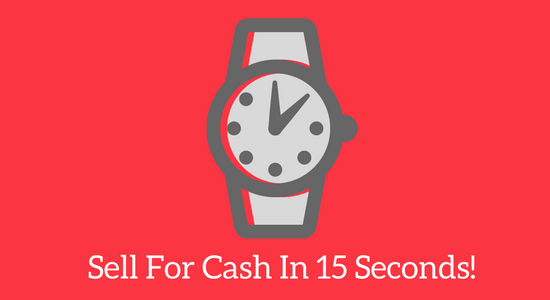 In fact, some Bitcoin ATMs can complete Bitcoin transactions in as few as 15 seconds. Quicker than it took to read this paragraph! One of the greatest objections that many people have against cryptocurrencies is that they are too difficult to use. Bitcoin ATMs are one of the main ways that cryptocurrencies can become easier for people to use. This is because people are already used to using fiat ATMs, so transitioning to using Bitcoin ATMs is very easy in many cases. This is part of the reason why over 60 nations and counting already have Bitcoin ATMs. So, the more people there are who use Bitcoin ATMs, the more likely Bitcoin is to achieve mainstream adoption. People who use Bitcoin ATMs help to bring attention and trust to Bitcoin as currency. This is very good for brand awareness. 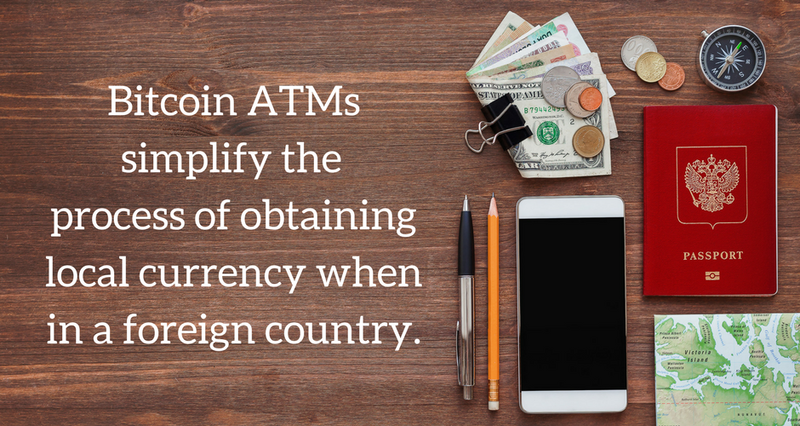 Travelers who do not want to go to currency exchanges in foreign countries can simply find Bitcoin ATMs and use them to exchange Bitcoin for the local fiat currency. This simplifies the process of accessing local fiat currencies and can reduce friction for people who are trying to get money in foreign countries. One of the greatest objections that many people have against cryptocurrencies is that they are too difficult to use. Bitcoin ATMs are one of the main ways that cryptocurrencies can become easier for people to use. This is because people are already used to using fiat ATMs, so transitioning to using Bitcoin ATMs is very easy in many cases. This is part of the reason why over 60 nations and counting already have Bitcoin ATMs. Travelers who do not want to go to currency exchanges in foreign countries can simply find Bitcoin ATMs and use them to exchange Bitcoin for the local fiat currency. This simplifies the process of accessing local fiat currencies and can reduce friction for people who are trying to get money in foreign countries. Because Bitcoin ATMs only involve one person interacting with a machine, there is no risk of a second party being unscrupulous. Some services such as Localbitcoins.com offer peer-to-peer trading. However, with peer to peer trading, especially in a local setting where two people have to interface with one another, a lot can go wrong. For example, if you meet someone on localbitcoins.com, and you plan to buy two Bitcoins from him or her for $16,000 in cash and in person, then there is a significant chance that you could be robbed. If you use a Bitcoin ATM however, then you do not have to deal with an untrusted human party. All you would be dealing with is a machine, and you would be making anonymous transactions. This is much more secure than in-person Bitcoin exchanging. High fees are one of the most common complaints about Bitcoin ATMs. 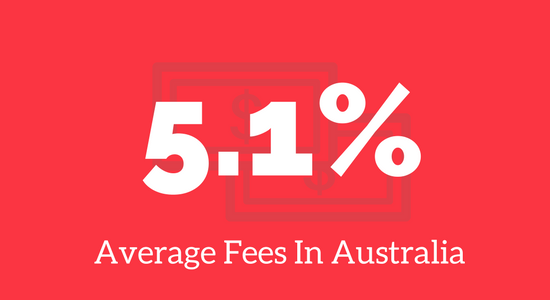 Bitcoin ATM fees average 5.1% of the transaction amount here in Australia. Some Bitcoin ATMs have fees that are significantly higher than that, and can be as high as 15%. Most standard fiat currency ATMs do not charge fees for making withdrawals or deposits if they are done at the bank’s own ATMs. However, if they are done on an ATM that belongs to another bank, then there is often a fee of a couple dollars per transaction. So, compared to standard fiat currency ATMs, Bitcoin ATMs can be quite expensive. But, part of the reason why Bitcoin ATMs are so expensive is because they are relatively new, and there is not as much competition in the cryptocurrency ATM industry as of yet. This is definitely likely to change as long as cryptocurrencies continue to increase in popularity, and as long as fiat currencies continue to experience inflation year after year. Although Bitcoin ATMs now exist in over 60 countries, that doesn’t mean that they exist on every street corner or every city block. In fact, most people probably have no idea where the nearest Bitcoin ATM is. The fact that Bitcoin ATMs can be a major challenge to locate means that currently, people cannot really rely on Bitcoin ATMs to be easy to find wherever they go, unlike fiat currency ATMs. However, the number of Bitcoin ATMs in existence continues to grow every single year. 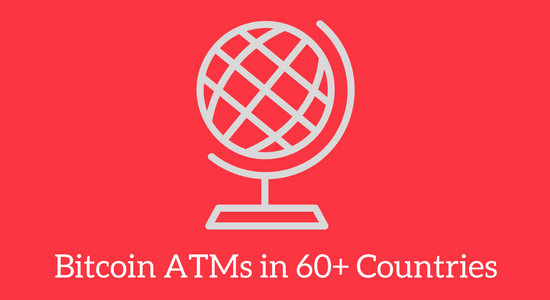 So, soon, there could be significantly more Bitcoin ATMs around the world. 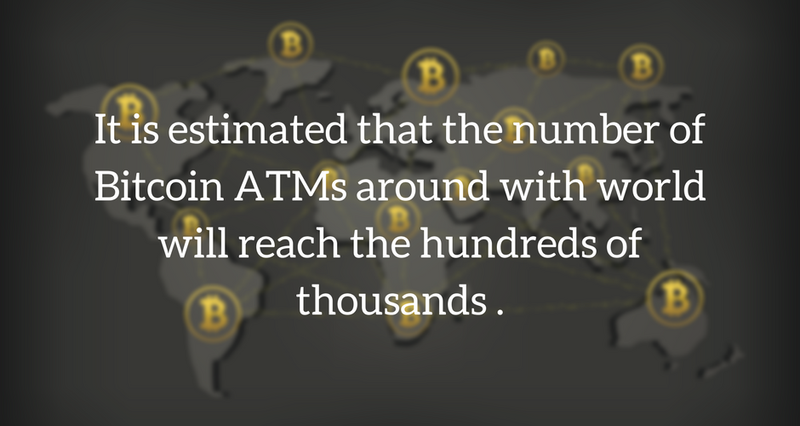 There are estimated to be several thousand BTC ATMs in the world at the time of writing. With many start-ups capitalising on Bitcoins growth, this number is growing steadily. So, although Bitcoin ATMs can be somewhat difficult to find without the assistance of search engines or locator sites, this is very likely to change considering that hundreds of Bitcoin ATMs are being set up every single year. Because the Bitcoin ATM infrastructure is still being built, there are still many issues with service reliability for Bitcoin ATMs. For example, Bitcoin ATMs are frequently reported as non-functional, and they often get depleted of cash. They can quickly become depleted of cash if larger numbers of people suddenly find out about the ATM. For example, if a Bitcoin ATM location is displayed on a Reddit forum, or if a new advertisement for the Bitcoin ATM is displayed on social media, in a newspaper, or elsewhere. Obviously, it is going to cause major issues if the Bitcoin ATM does not have any cash left and cannot exchange Bitcoin for cash anymore. This defeats the entire purpose of using the Bitcoin ATM. In the future, it is highly likely that these issues will become fewer and farther between. However, for the time being, they are still very significant unfortunately. Bitcoin ATMs are still in their infancy. However, despite the fact that they have only been around for a few years, they are becoming more and more popular and easier and easier to find. This is largely due to the fact that the price of Bitcoin has continued to rise by significant amounts almost every single year. Cryptocurrencies are appealing to people for a number of reasons. For example, some people are drawn to them because they can be a long-term store of value, some are drawn to them because they have demonstrated excellent investment potential, and others like them simply because they appreciate the underlying blockchain technology. All of the attention that cryptocurrencies have gotten in the past few years has helped to boost the price of many of the cryptocurrencies. This is no more evident than with Bitcoin, which is the current king of cryptocurrencies, and which has a price of roughly $11,300 AUD. If the price of Bitcoin continues to rise, then demand for Bitcoin ATMs will also most likely continue to rise. There could also start being more demand for ATMs that can support other cryptocurrencies such as Ethereum and Litecoin. So, soon there may even be ATMs that support multiple cryptocurrencies appearing more and more around the world. Right now, there are many pros for using Bitcoin ATMs. These pros include convenience, speed, being beneficial for mainstream Bitcoin adoption, and making access to money in foreign nations easier, and security. The cons of using Bitcoin ATMs include high fees, difficulty in finding them, and having subpar service reliability. However, the cons of Bitcoin ATMs should be viewed as temporary, because they are all likely to improve over time. So, soon, the pros for using Bitcoin ATMs could far outweigh any cons, and many more people could start using them.